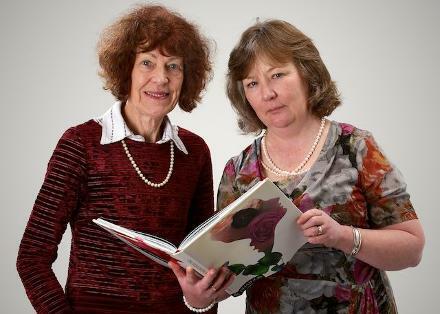 We are Julia Millen and Lynn Peck, and we provide an independent book publishing service. We welcome new authors. Want to publish with us? We offer a comprehensive, professional, self-publishing service for individuals, institutions, companies, and others wishing to publish privately. Our services include editing, design, and print management. We also assist and advise on marketing, sales, and distribution. Contact us now to start the discussion. Our most recent titles are listed in our bookshelf below. Also check out our books for more titles. You can purchase books through PayPal from the book pages. Good news New Zealand customers, you can now easily purchase multiple copies and multiple titles. Go to our store, select the books you want, drag them into your shopping bag and proceed to check out. Sorry, overseas customers, this facility does not yet ship overseas . The College of Public Health Medicine has existed in its current form for the past ten years, but the roots of the College stretch back to the formation of the New Zealand College of Community Medicine in the 1970s. 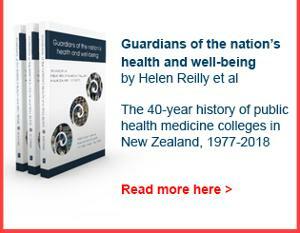 Guardians of the nation’s health and well-being documents the history of the College in its different guises over the past 40 years. North to the Apricots: The escape stories of Sergeant Bruce Crowley is now available on Amazon as an ebook. Beverley McCombs has just returned from a successful author's tour in Oxfordshire, England, the location for her book, The Ascott Martyrs. Beverley generated considerable local interest and was featured in the local paper, the Oxford Mail. What a superb interview Peter had with Kathryn Ryan on Wednesday 13 June 2018. You can listen to Peter talking with Kathryn about his book, Driving for Music, here.